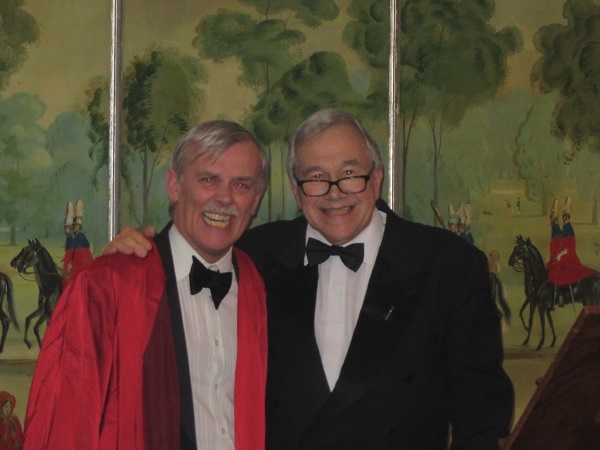 During the Golden Age of crime fiction in Britain – between the two world wars – some of the leading authors got together to form the Detection Club, an organisation that’s still going strong today. At the time of writing this book, Martin Edwards had been elected to membership and was the archivist of the club, although he has since become President, following in the prestigious footsteps of such luminaries as GK Chesterton, Dorothy L Sayers, Agatha Christie and, more recently, HRF Keating and Simon Brett. Although the Club was largely social in nature, Edwards sets out to show how the interactions of its members helped to define the style and direction of detective fiction in these early years. He suggests that in fact the existence of the club may be part of the reason that the Golden Age style of detective fiction lasted longer in Britain than elsewhere. Membership was by election only, so that existing members decided which writers could get in, and, as a result, exerted considerable control over which types of book were highly regarded within the community. Over the years several of the original members had a go at defining the “rules” of detective fiction, usually half-jokingly, but clearly indicating their own opinion of what fell within the definition. Ruler: Do you promise that your detectives shall well and truly detect the crimes presented to them, using those wits which it may please you to bestow upon them and not placing reliance on, nor making use of Divine Revelation, Feminine Intuition, Mumbo-Jumbo, Jiggery-Pokery, Coincidence or the Act of God? Ruler: Do you solemnly swear never to conceal a vital clue from the reader? Ruler: Do you promise to observe a seemly moderation in the use of Gangs, Conspiracies, Death-Rays, Ghosts, Hypnotism, Trap-Doors, Chinamen, Super-Criminals and Lunatics; and utterly and forever to forswear Mysterious Poisons unknown to Science? Ruler: Will you honour the King’s English? Extract from the initiation ritual for the Detection Club in the Thirties. The book is clearly very well researched – not an easy task since apparently many of the records of the Club were lost during the years of WW2. It’s written in what I’ve come to see as Edwards’ usual style for non-fiction – conversational, feeling as if one were having a discussion with a knowledgeable friend – and is therefore easy and enjoyable to read. It covers a lot of the same ground that he covers in his introductions to the various British Library Crime Classics and in his most recent The Story of Classic Crime in 100 Novels. By their nature, those other books force a structure on the way he gives information. In contrast, this one struck me as much looser in structure, often going off at tangents – one chapter, for example, starts with Agatha Christie meeting her second husband, then goes on to talk about séances in various writers’ work, then ends up with a discussion on the Depression and the formation of the National Government! Personally, I enjoyed the structured style of The Story of Classic Crime more, but I think this is very much down to reader preference. 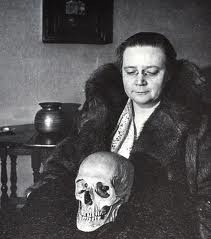 Two important Club members – Dorothy L Sayers and Eric the Skull. To a degree, the book follows a linear timeline although with a lot of digressions. Edwards talks informatively about how detective fiction was influenced by current events, such as the Depression of the ’30s, or the rise of the various dictatorships in the pre-WW2 years. He also discusses and rather argues against the idea that Golden Age crime fiction was culturally snobbish – I disagree – but suggests that it was often intellectually snobbish – I agree. I do find that just occasionally Edwards comes over as somewhat dogmatic in his opinions – he has a tendency to be a little dismissive about anyone who holds a different point of view. He also clearly has favourites amongst the authors – Sayers is mentioned more often than everyone else put together, I suspect! But that all adds to the personal, conversational feel of the book. I’m sure if I knew anything like enough to write a similar book, Christie would appear just as often. Overall, then, an enjoyable and informative read, maybe more geared towards people who enjoy personal biographies of their favourite authors, but with plenty of stuff about the history of the crime novel for the rest of us. And because there’s quite a lot of crossover between this and The Story of Classic Crime, they could easily be read either as companion pieces, or the reader could select the style that would most suit – more biographical about the authors in this one, more concentration on the books in the other. I know what you mean about how learning more about an author affects your regard for their books. That’s the main reason why I try not to delve too much into an author’s personal life either (unless this author is one of my absolute favorites and has inspired me). Are those rules for real??? “Not placing reliance on, nor making use of Divine Revelation, Feminine Intuition, Mumbo-Jumbo, Jiggery-Pokery, Coincidence or the Act of God?” My goodness! This sounds good! I’m interested in what the author means by ‘culturally’ or ‘intellectually’ snobbish. Most of the members must have been British or living in Britain. Imagine the conversations at those dinners! This is interesting! Snobbery of all kinds does still exist in Australia but It is so much more interesting in the context of the time period and the writers who were part of that group. I expect their readers came from every part of society though, and the money they paid to buy their books was welcome regardless of their background or education. Since this book was in a conversational style it would have been difficult for the author not to show his own biases. I find class fascinating too, but am even more interested in the differences between the haves and the have-nots, which these days is money. (Although money still doesn’t buy an education amongst the children of the ruling class). I can’t watch the video, keep getting sent to a wedding venue called Kualoa Ranch and don’t think that is what you meant. I’m very glad you enjoyed this, FictionFan. It is always difficult to know just how much information readers want about these authors. I know that my opinions of an author’s writing are impacted by the way I feel about that author, whether or not that’s the way it ought to be. And just how personal should that information be? Again, not an easy questions. Still, with Edwards at the helm here, you knew you weren’t going to be badly disappointed. Good to hear you liked this. I’ve had this book for quite a while, but I’ve never read it. You encourage me here and scare me a bit too with the ‘author real lives’ angle. I will say that I’m also one who finds that if an author has objectionable things in their personal life, I find my feelings toward them and their books is altered. Maybe it’s better for me not to know too much. Those rules! Including “chinamen” in with ghosts and mayhem sure shows you the era! I think I’ll stick with what I already know about The Detection Club – I think I’m even more averse to knowing about authors as people than you are. I suspect she’ll love it then – his style is very accessible and there’s loads of interesting info packed in here. Hope she enjoys it! I love the idea of this club, and so wish I could have been a part of it. What fun! I bet they had some great discussions amongst themselves…to be a fly on the wall! I never actually finished this (it was a library book and I didn’t get it read in time), but I really enjoyed what I read of it. With Sayers specifically, I can see what Edwards was trying to do. People accuse Sayers of Harriet Vane being basically a self-insert character and of having fallen in love with her own hero, generally based on the idea that she was a buttoned-up spinster who never had any fun – so I feel like he was trying to correct that assumption. But yes, I was reading it more for the books and could have done without so much personal biography. I do think that the Wimsey books are of *incredibly* mixed quality and some of them (especially the early ones) are pretty awful, so I can see how you might not really like them. I do want to read this, but I think The Story of Classic Crime suits me more, like you, I don’t really want to know about their private lives. You’d probably enjoy this one more than his other book then. I don’t mind knowing about long-dead authors, but somehow I feel uncomfortable when the author is recent – and I find them harder to forgive if they held unpleasant views. But Edwards isn’t nasty about it – you can tell he feels affectionately towards most of them. I am surprised this group still exists, or that it was so large (based on the picture you shared). But my question: what on EARTH is Jiggery-Pokery? !